Still Time to Plan March Break Activities – And More! March Break is already here. But don’t worry, you can still choose among programs at the local library, swimming pool, ice rink, ski hill or a large selection of creative classes for all ages. Take for instance the Bethany Library at 1474 Highway 7A. On Saturday you can take part in the Super Saturday Board Games event at the Bethany Library from 11:15 to 12:15. No matter where you live in Kawartha Lakes, there is a something going on at your local library. Check out the list of March Break events at http://www.city.kawarthalakes.on.ca/news/march-break-activities-in-kawartha-lakes. If you have not been to your local library lately, you might be surprised at the wide range of offerings available! For instance, while your kids are busy you can borrow the books that have made it to the CBC Canada Reads Short List. The next edition of Canada Reads takes place March 27 to 30, 2017. You or your kids might also be interested in downloading e-books, digital music, magazines…or you can take online courses for FREE! March Break might be just the time to see what the library is offering all year long. The Canadian Canoe Museum. They are offering workshops from half a day, to a full day, to multiple days. The fun includes Arctic Adventures, Woodworking with Wanigans, Make a Leather Bag, Paddle Carving, and Canoe Paper Arts. OFAH Heritage Centre will be offering the first ever Wild March Break Day Camp for youth ages 6 to 13. Buckhorn Maplefest 2017 – Wow! How about Horse drawn sleigh rides, maple demonstrations, sugar bush walk, log sawing, tree tapping, snow shoeing, rope making), live music, the sugar shack, farm animals, farm store and much more! Enjoy the break – Spring is just around the corner! March Break Fun Near Bethany! We have found some things you can do with your kids for March Break. This list is not exhaustive, but it’s a start! Of course, weather can impact some plans, but this is Canada and you just never know what tomorrow will bring. 3 days with 2 hours of instruction each day for a total of 6 hours of instruction. Two hours each day for 3 consecutive days. 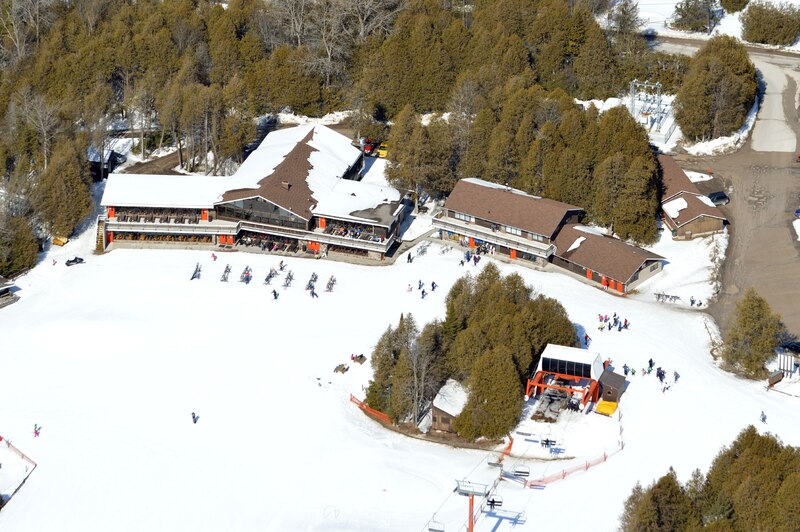 Devil’s Elbow – Hit the Slopes in Bethany Ontario Before Winter’s Over! As the end of February approaches there is still plenty of time left to get out and enjoy one of the benefits of the winter we are having – the snow! The Ski Chalet at Devil’s Elbow. 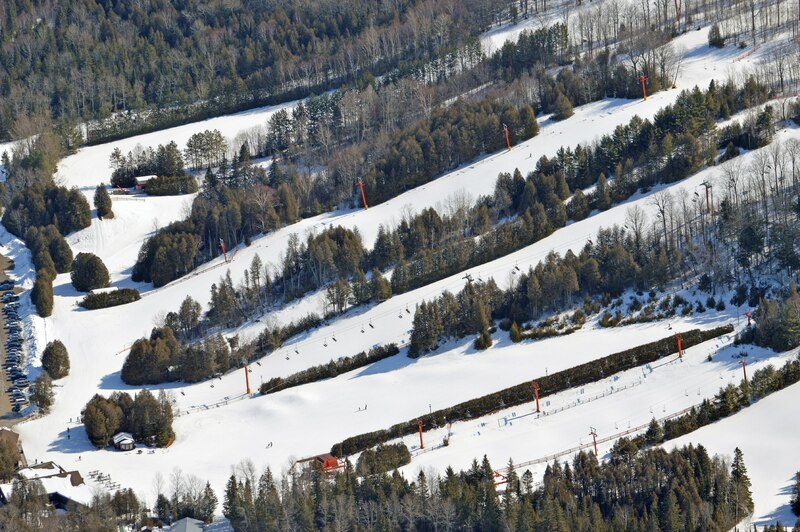 Bethany is home to one of the finest winter attractions of the Kawarthas – Devil’s Elbow Ski Area, which is just a short drive from Peterborough, Lindsay, Port Hope, Oshawa, and Toronto. You don’t have to be an Olympic skier to enjoy the Elbow. It offers a family friendly atmosphere, and with 85 skiable acres, plenty of room and hours of fun for skiers and snowboarders of every experience level. Speed down Satan’s Run or take it easy on the Bunny Hill – with 14 trails there’s something for everyone! The state of the art snowmaking and grooming equipment ensure the best possible conditions every day of the ski season. Aerial view of the slopes at Devil’s Elbow. If downhill skiing is not your passion Devil’s Elbow caters to Nordic skiers and snowshoe enthusiasts with 8.5 km of trail winding through a sheltered evergreen and hardwood forest. You can also visit the Pro Shop for a tune-up of your skis or snowboard. If you’re new to the sport, or looking for an upgrade, the latest equipment and accessories are available for sale. And of course ski and snowboard rental equipment is available by the day. All that activity can make you hungry and if you need a bite to eat Devil’s Elbow features “The Grill.” Located in their spacious, two-story day lodge overlooking the ski hills, “The Grill” offers a wide variety of freshly prepared hot and cold foods and beverages. There are few better ways to warm up than with a cup of their delicious hot chocolate or coffee best enjoyed by the stone fireplace! Devil’s Elbow offers the option of skiing for the full day or 3 hours. They also offer economical season passes, 8-packs of passes, and group discounts. Just learning the sport? Then join their Ski School for less experienced skiers and snowboarders. Or if you are experienced and looking to get into racing their qualified CSIA instructors teach classes in alpine, snowboard and junior racing.